The Combo Series Dura-Grader gives you the best of both worlds. This versatile grader attachment can be easily used by both tractors and skid steers. This Dura-Grader has a Cat 2/3 hitch on one side and a universal quick attach plate on the other. Use your skid steer or your tractor to maintain roads, parking lots, drives and more. This tough grader is perfect for prepping job sites and building pads for new construction. Our patented 4 blade design allows you to work twice as fast! One attachment for multiple pieces of equipment and jobs saves you time and money. 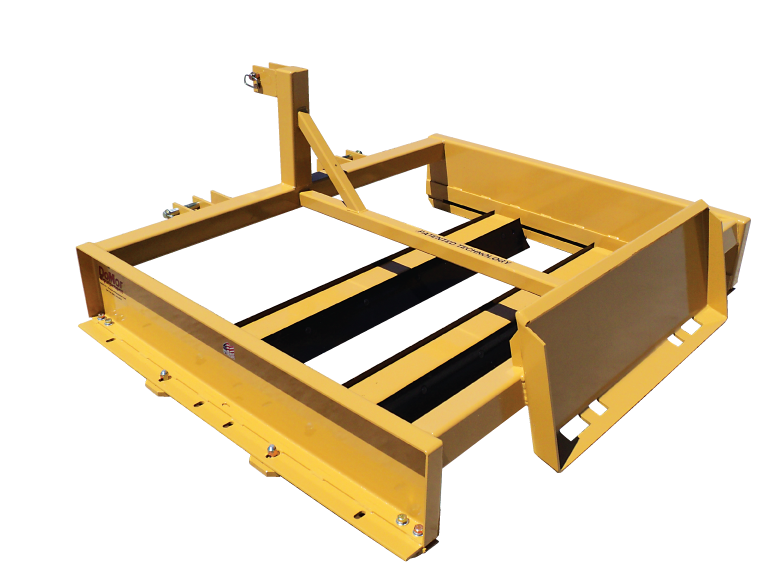 Combo Series Dura-Grader: Comes with a quick hitch plate as well as a 3-point hitch setup for category 2 and 3 tractors. Allows you to use same piece of equipment with skid steers and tractors. Reversible skid shoes: The Combo Series Dura-Grader comes with 1 ¾” thick solid steel skid shoes that easily bolt on. Simply rotate the skid shoes to extend their life. Combo-72 1,000 lbs. 60 HP. 84 in. 22 in. 69 in. 6ft. Combo-84 1,120 lbs. 70 HP. 96 in. 22 in. 69 in. 7ft. Combo-96 1,250 lbs. 70 HP. 108 in. 22 in. 69 in. 8ft.